CLEVELAND (AP) Nick Gilbert, the son of Cavaliers owner Dan Gilbert who became a good-luck charm during the NBA lottery, will undergo major brain surgery this week. A team spokesman said the 21-year-old Michigan State student will have the operation in Detroit. Gilbert was born with neurofibromatosis, a nerve disorder that causes tumors. He has undergone previous surgeries for the genetic illness. In 2011, the younger Gilbert endeared himself to Cavs fans when he represented the team at the draft lottery. 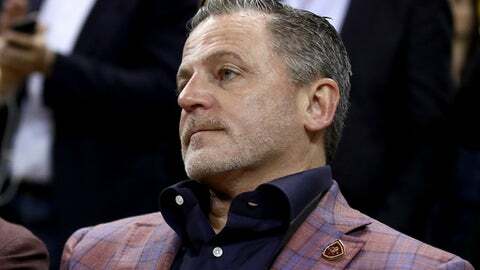 Dan Gilbert, who has five children, serves on the board for the Children’s Tumor Foundation, which is trying to find a cure for his son’s condition. Following Monday’s practice in Boston, Cavs coach Tyronn Lue said players and coaches sent a video to ”Gillie” to wish him well.